AI has been in development for years and the effects it may have on inbound marketing have been talked about for just as long. As this article shows it is a topic that has seen a lot of time and thought spent on it. Technology moves fast and current AI applications have improved in complexity even when compared to AI from two years ago. The above article, written in 2014, talked about how AI could impact search engines and become smart to a user’s habits and also detect common bad SEO practices such as overuse of keywords. 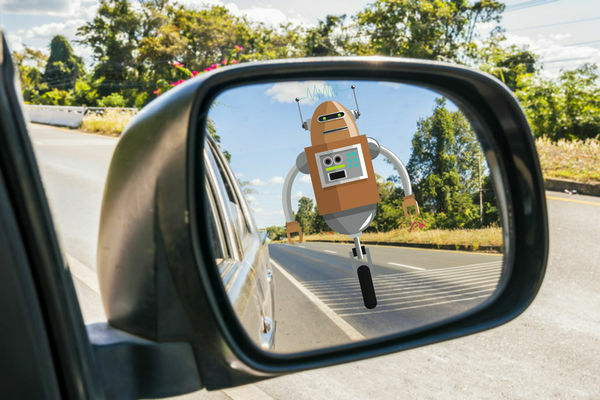 The closing theme was that marketers would have to play by the rules set by more advanced search engines let’s take a look at the current state of AI and the possible future. The idea that AI would integrate with search engines has proved to be correct as Google did implement deep learning into the search engines. Currently, deep learning reviews 15 percent of Google’s daily searches The searches are new word combinations the search engine hasn’t seen before. AI, however, is going far beyond search engine optimization. Currently, AI software is also affecting marketing by writing headlines for marketers, optimizing content for customers, and many companies are using chatbots. As a marketer, these are truly interesting times to be in the profession. A smarter search engine is not a bad thing, this means that the results are relevant and not just a collection of overstuffed keywords. AI-enhanced search engines take content into mind meaning that quality writing produces better rankings. Another tool is an AI based headline writer. This is a fantastic tool as it can be a real challenge condensing a 600-word article into a six-word headline. Granted this concept is still being tested with more low-end content such as click bait but the results are promising. Also, chatbots are being used by companies to interact with their customers communicating relevant marketing materials to interested customers. It is impressive how fast AI has developed. It has grown from smart search engines to customized results based on the individual user’s’ taste, AI article editing (not just headlines but whole articles), and has even started to directly interact with customers in the form of chatbots. Predictions are hard to make because an unexpected breakthrough could be around the corner. But for now given the current state of AI marketing the following factors are predicted to happen by industry experts. Chatbots are going to become more widely used and smarter as well. The traditional app will move from being a series of screens that you navigate through to simply asking the app questions and getting a relevant response. AI technology will serve as a filtering device for marketers. Interested customers interact with AI software before being directed to the exact person they need. Marketing software is going to be more autonomous. AI will make marketing software far more useful as it ‘learns’ how to generate its own leads and recommendations. AI won’t replace marketers but instead, serve as electronic assistants focusing on the behind the scenes upkeep while you focus on more important aspects of the business. AI is developing at a very fast rate. As our earlier article shows a lot can change in a very brief period of time and what was true then may only be a part of the final outcome. As our previous articled showed the core point (AI enhanced search engines) was correct but the overall scope of AI improvements was far more impressive and wide-reaching. Be sure to mark a date on your calendar two years from now to see where and how far AI development takes business and society. If you’d like to learn more about AI and how it’s affecting inbound marketing consider the following articles. how AI is affecting inbound marketing now and in the future. This infographic shows you how AI and inbound marketing fit together. future technologies will improve AI.